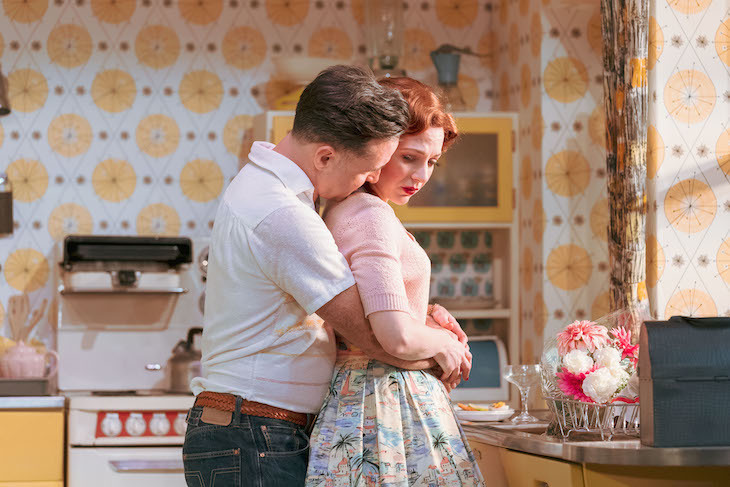 All appears to be perfect inside the model home of Judy and Johnny, a married couple who decide to renounce the modern world and live out a 1950s-style idyll filled with billowy dresses, jive records, and fancy cake stands. But Laura Wade's imaginative satire shows that while there’s nothing wrong with wanting to ditch your mobile phone, nostalgia can be a dangerously illusory thing. 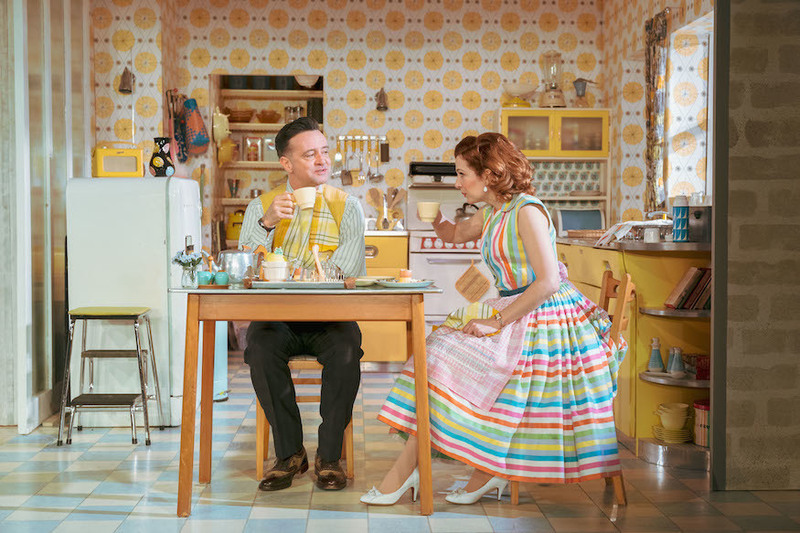 Hugely popular at Theatr Clwyd and then the National Theatre, Home, I'm Darling has transferred to the West End for a limited run. 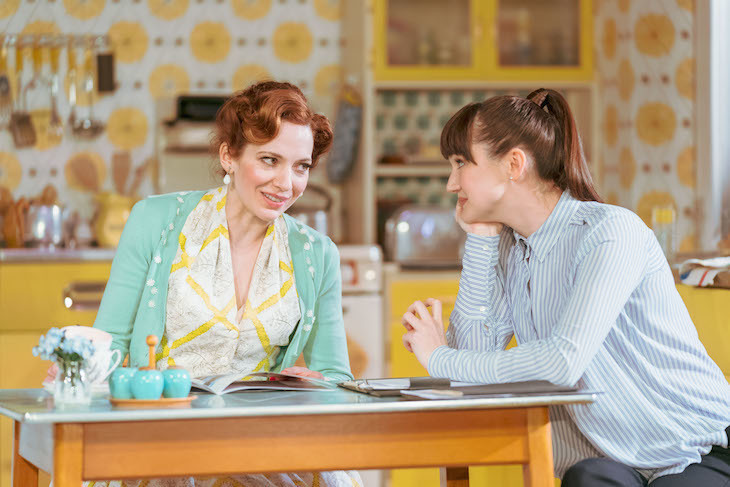 It sees IT Crowd star Katherine Parkinson (Judy) asking whether giving up paid work and choosing to play a dream ‘50s housewife putting meals on the table might in some way be a highly feminist act. Happily playing his part in the retro fantasy is husband Johnny (Richard Harrington). Parkinson is mesmerising as a tireless polisher-of-façades, while Harrington cuts a vulnerable figure who flags up the hollowness of old-fashioned gender norms. What the pair learn is that no amount of Bakelite or retro fantasy can insulate you from the realities of the present time — and nor should anyone forget the wins in social justice and gender equality that have happened in the last 60 years. As Judy’s mum (Susan Brown) puts it: “the ‘50s were awful”. The production sings. As if in tribute to the bygone housewife, director Tamara Harvey considers every last detail, right down to a pristine set, and stylish scene transitions soundtracked by rock & roll hits of yesteryear. Yes, modern life might appear to be rubbish sometimes. 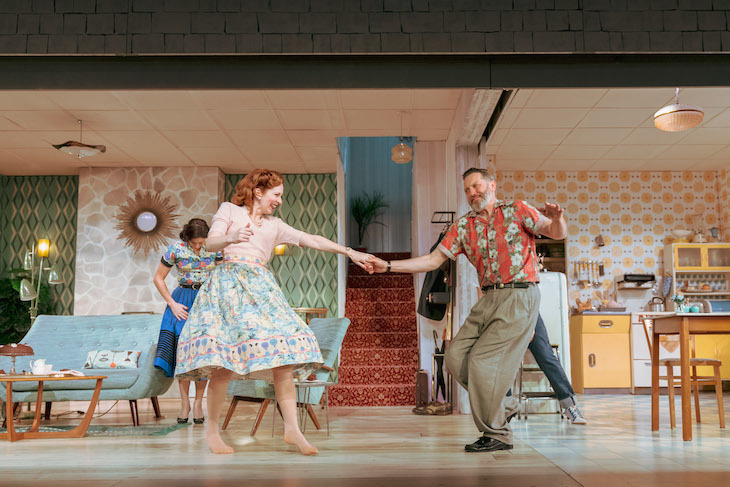 But to watch a witty and insightful new show like Home, I’m Darling — well, it’s a surprisingly affirming thing. Home, I’m Darling, Duke of York’s Theatre, St Martin’s Lane, WC2N 4BG. Tickets from £18, until 13 April 2019.